This film has been produced to celebrate the centenary of James Fletcher-Watson, who died in 2004. 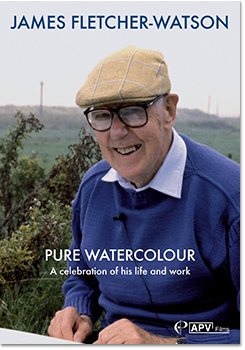 It gives an insight into James and his life and includes interviews with his painting friends and family, along with early images of him and his work. It illustrates his love of sketching and painting outdoors, with previously unseen footage — a pencil sketch in the Cotswolds, a painting of Cley Mill in Norfolk and a tree study from the Lake District. This is a fascinating look at the life of a great painter who believed passionately in passing on the pure watercolour tradition.